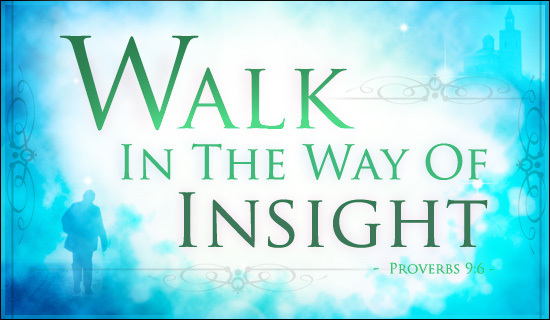 Proverbs are rich with the context of this title I try and read one each day and apply its lessons to my life personally. “Leave your simple ways behind, and begin to live; learn to use good judgment. Having wisdom and good judgment should be something desired by everyone but I've come to realize this isn't the case. I'll give you an example: I have a good friend who just got married now in all the years I've known her she's always been a hard worker and has never been in need financially until recently she mentioned being broke and not having any food so I invited her over and gave her a check to help with her need. As we talked she mentioned her new car which she showed me it was a 2015 and she only payed $500 a month. Now I know I needed to use good judgment in how I spoke to her I didn't want to say now theres the problem you can't afford food because of that brand-new car! She related to me what a great deal it was so I had to just be subtle and I shared how I'm so glad that my husband and me have great cars we payed cash for mine for only $4500 and his at the time was only $150 a month both 2003's but I don't think she took interest as she already decided that was a great deal. Now my friend isn't a fool but we all can make foolish decisions. Another more personal example is myself I've struggled the last several years with a shopping addiction. It's triggered by my mood swings having bipolar depression. I don't know if I've ever shared that with you guys so be gentle in your replies to this subject as it's a sensitive subject matter but I've come to the point in my life of accepting what it is. As my husband and me hold each other accountable each time I've shopped without talking to him first I've had to come clean as I can't stand to hide it from him in fact it really disgusts me later of my foolish choice. Sin and the temptation to sin is very powerful and we can't fight it alone we need accountability to another and to God. We need to come clean and not live in sin the sooner we repent of our sin the sooner we can be free from the power it has over us. Amen! I am still a work in progress as we all are and always will be. But, I know that it's possible to live without tons of debt and credit cards and so I'm going to keep pushing forward in this goal no matter how many times I relapse and use a credit card or paypal. I know my God is bigger than this and He will help set me free. "I just pray right now for each of us whatever sin we are struggling with that we will confess, repent, and come clean so the power of the sin will be broken and we can live in victory gaining wisdom to make the best choices for our life with the guidance of our Lord. In Jesus' precious name. amen"